This is a statement of an agreed position produced by the Council of Australasian Archives and Records Authorities (CAARA). The purpose of this statement is to establish a national framework for the disposal of ephemeral documents as Normal Administrative Practice, which embodies common principles and strategies to be communicated and applied within Australia and New Zealand.. The adoption of widely accepted best practice in the disposal of ephemeral documents is a positive step towards eliminating the wrongful destruction of significant government records. In the development of this statement, the legislative requirements and Normal Administrative Practices within Australia’s State, Territory and National jurisdictions and at a National level in New Zealand, have been examined (please see Appendix A). 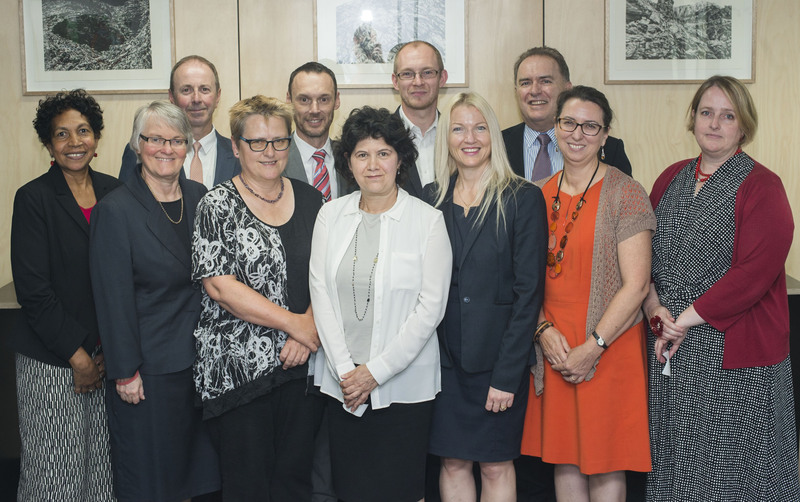 State, Territory and National archival authorities in Australia and New Zealand recommend Normal Administrative Practice or a similar concept of managing and destroying ephemeral records to government organisations. Each has implemented a procedure for assessing records that may not need to be captured into official recordkeeping systems and prescribes what types of records can be destroyed (in some cases without formal approval) . Although the intent may be the same for each authority, there is some variation in the implementation of Normal Administrative Practice. Many documents created or received by government organisations do not have sufficient value to be maintained in recordkeeping systems. It is the responsibility of each archival authority in Australia and New Zealand to dispense advice and issue guidelines for the identification and disposal of documents and records that fall into this category. Such guidance would, ideally, provide a basis for the consistent and effective execution of Normal Administrative Practice in government organisations throughout Australia and New Zealand. The concept of Normal Administrative Practice embraces the principle that certain records may be destroyed or otherwise disposed of without formal authorisation from the relevant State, Territory or National archival authority, or under general authorisation. It is acknowledged that Normal Administrative Practice applies only to those documents with little or no continuing value as outlined within this statement. As applied to ephemeral documents, Normal Administrative Practice (NAP) allows for the destruction, or disposal in other forms, of ephemeral, routine, or duplicate documents created or accumulated by government employees during the course of their duties. Such records are not usually incorporated into an agency’s recordkeeping system. Disposal of ephemeral material and the mechanisms by which it is implemented will vary between jurisdictions. Each archival authority will determine the most appropriate way to implement the practice within its jurisdiction. Ephemeral documents are defined as those documents which are of a trivial nature or of such short-term value that they do not support or contribute to the business function of the organisation. These records are generally only needed for a few hours or a few days. documents with little or no administrative, fiscal, legal, evidential, cultural or known historical value. NB: Versions of drafts which contain significant changes to the context must be captured into the corporate recordkeeping system. working papers, background notes and reference materials used to prepare or complete other documents. NB: Working papers and background notes relating to the development of internal policy or significant projects must be captured into the corporate recordkeeping system and form part of the corporate memory. Documents with any of the following characteristics must be treated as significant and not destroyed under Normal Administrative Practice. those which are identified as a formal draft of a policy, cabinet submission, agreement or legal document. Documents with any of the above characteristics must be treated as significant and not destroyed under Normal Administrative Practice. If the document does not possess any of these characteristics it may be treated as ephemeral. Ephemeral documents may be created or received in a variety of formats or media e.g. printed, electronic, graphic, audio or image etc. This statement relates to all ephemeral documents regardless of the format or medium. The destruction method chosen should be appropriate to the medium on which the ephemeral document exists. The following issues should be considered before destruction of any documents. Destruction of documents must not occur without due consideration of relevant jurisdictional legislation. Reference to organisation specific legislation must also be considered in determining the value of documents. Freedom of Information legislation prescribes rights and processes for access to documents held by government organisations. If a request for access under the legislation has been lodged, all documents relevant to the request, regardless of whether they are due for destruction, must be identified and preserved until action on the request and any subsequent reviews are completed. If an investigation or inquiry is in progress, or a legal action is impending or in progress, all documents relevant to the investigation, inquiry or legal action must be identified and preserved until the action and any subsequent actions are completed. Key recommendations of the ‘Bringing Them Home Report 1997’ relate to the need for the identification, preservation, indexing, management and access to records relating to Indigenous Australian individuals, families and/or communities in accordance with established privacy principles. Documents which fall within this category are not to be destroyed and should be the subject of consultation with the relevant archival authority in Australia. If a Native Title claim is in progress in an Australian jurisdiction, all documents relevant to the claim must be identified and preserved until the action and any subsequent actions are completed. The Principles and Strategies outlined in the following statements form a guide to commonly agreed principles on the basis that each National, State and Territory archival authority will use the statement as a model within its respective jurisdictions. Individual jurisdictions will have their own legislative requirements and whole of government policies and standards to incorporate into the strategies. Responsibility for ensuring that agency officers are informed about how to implement Normal Administrative Practice shall rest with the agency. Responsibility for identifying ephemeral documents shall rest with every officer of the agency. Each agency should establish policy and guidelines for the identification of ephemeral documents. Each agency should establish guidelines for appraising the value of ephemeral documents. Archival authorities should establish identification and appraisal strategies relevant to each jurisdiction. Agency processes and systems shall operate to ensure that ephemeral documents are managed appropriately. Agency processes and systems shall operate to ensure that ephemeral documents are maintained until reference ceases. Each agency should establish policy and guidelines for the handling and management of ephemeral documents. Each agency shall maintain ephemeral documents and destroy them when they are no longer needed. Responsibility for the destruction of properly identified ephemeral records rests with all officers. Agency processes shall not be required to keep a register of ephemeral records destroyed. Each agency should determine processes to authorise officers to dispose of properly identified ephemeral documents when reference ceases. Each agency should establish the method of destruction relevant to the medium on which the ephemeral document exists. Each Archival authority shall ensure that there are legal or policy mechanisms to enable lawful destruction of ephemeral documents as Normal Administrative Practice within their jurisdictions as appropriate. Each archival authority has implemented a procedure for assessing records and prescribes what types of records can be destroyed as part of Normal Administrative Practice. Although the intent may be the same for each authority, there is some variation in the implementation of Normal Administrative Practice (NAP). In some jurisdictions the concept of Normal Administrative Practice is provided for through records and archives management legislation, while in others the disposal of ephemeral records is provided for through general disposal authorities. The policies and guidance produced by each archival authority varies in detail and form but each has been developed to reflect their legislative and operational environments and to apply to their respective government sectors. The policies and guidelines in existence range from a couple of paragraphs in an existing policy, to specific publications on implementing Normal Administrative Practice. Certain elements found to be constant across each authority are described below. The concept of NAP is understood throughout, as the principle that certain records do not need to be captured into official recordkeeping systems and may be destroyed without formal authorisation from the relevant archival authority. This provision complements but does not replace, the relevant disposal authorities approved and issued within those jurisdictions. records which are comprised of information duplicated elsewhere within the agency’s recordkeeping system. NAP assessment applies to all records, regardless of format. Each authority acknowledges that the information within a record, rather than the medium, determines whether it is of continuing value. Therefore, non-print media such as electronic mail, microforms, facsimiles, audio recordings and verbal communications may constitute significant records if they contain valuable information. duplicated copies of documents and publications used for reference. Archives Act 1983, section 24(2) – Penalties for destruction, transfer or damage to a Commonwealth record do not apply to any action performed in accordance with NAP. are individual papers in a file. library material (except for assets being written off). The NAA has the authority to issue a Notice of Disapproval if there is an indication that valuable records are being destroyed, and recommend preferred practices. State Records Act 1998, section 22 – provides a definition and scope of NAP. The State Records Regulation 2005 further prescribes guidelines as to what constitutes Normal Administrative Practice in a public office. Guideline no.8, ‘Normal Administrative Practice’ includes the guidelines from the Regulation. The publication is available on State Records NSW Web site. NSW has a legislative basis for NAP under the State Records Act 1998, s22. The guidance on what constitutes NAP in the State Records Regulation 2005 is reproduced in Guideline no.8. The Guideline contains a further background section on the responsibilities of agencies and individual public officers to ensure that all records that provide evidence of business transactions or decisions are captured into recordkeeping systems. It notes that records that are ephemeral, facilitative or duplicate in nature (and not of continuing value to the organisation) may not need to be placed within recordkeeping systems and may be required for only a few hours or days. The Guideline identifies 11 categories of records for assessing records and each category lists particular records that can and cannot be disposed of or destroyed. The first two categories refer to outgoing correspondence and records taken out of the State. Guidelines also exist for drafts, working papers, duplicates of records, computer support records, facilitating instructions, messages, facsimiles, stationery, and solicited and unsolicited advertising. The State Records Act identifies some unacceptable NAP practices, including anything done corruptly or for the purpose of concealing evidence of wrongdoing or for any improper purpose. The Act also provides State Records with powers to notify a public office of other unacceptable practices. The Disposal Schedule authorises the disposal of records of short term value in 10 categories of records. These categories of short term value records include reference material, duplicate records and records used in the preparation of other records, such as background notes and working drafts. The Northern Territory Archives Service’s (NTAS) NAP guidelines takes the form of a short statement , available on the NTAS Web site. The guidelines define NAP, outlines the principles behind its execution, and lists records (in both paper and non-paper based media) that can and cannot be destroyed. modifications or update of data on computer software. those requiring retention according to a General Disposal Schedule issued or approved by NTAS. General Disposal and Retention Schedule for Administrative Records, section 6 – ‘Ephemeral Documents’. Ephemeral Documents are treated as a separate section in the General Disposal and Retention Schedule for Administrative Records. superseded manuals and instructions (except for a master set which retains the superseded versions). State Records Act 1997, section 3 (1) – definition of ‘official record’ excludes ‘a record made by an agency as a draft only and not for further use or reference’. General Disposal Schedule no.15 (Administrative Records), NAP guidelines. General Disposal Schedule no. 20 (Local Government Authorities), NAP guidelines. The General Disposal Schedule (GDS) no.15 (Administrative Records) and the General Disposal Schedule (GDs) no.20 (Local Government Authorities) both contain guidance on Normal Administrative Practice (NAP).. .
NAP within GDS no. 15 and GDS no. 20 allows for the routine destruction of ephemeral or transitory records, if it is obvious that they contain no information of continuing value to the organisation. This applies to records in all formats. Ephemeral or transitory records are grouped into six main groups: transitory items (e.g. phone messages), rough working papers, drafts (unless official), duplicate copies, published material and system printouts not required for regular reporting. An eight-point ‘NAP test’ outlines the criteria to apply to a record to determine if it a records is eligible or not to be destroyed under NAP. if it is a formal draft of a cabinet submission, agreement or legal document. If the record does not possess any of these characteristics, it may be destroyed. There is also a note on NAP’s application to electronic media. The guidelines states that data can only be deleted from electronic systems if it falls into one or more of the six categories of ephemeral material outlined. In other words, the content and not the format will determine if the record must be incorporated into a recordkeeping system. Disposal Schedule for Short-term Value Records authorises the disposal of duplicate, ephemeral and other short-term records that do not support or contribute to the business function of the agency. It covers records in a variety of formats, including printed, electronic and audio. Documents that may be destroyed under NAP have been incorporated into the General Disposal Schedule for Administrative Records, as a section called Duplicate, Ephemeral and Routine Documentation, 2 pages in length. Nine classes of records are listed, including examples. References to electronic mail, audio recordings and other non-paper records are made where appropriate. copies of personal documents not required on a continuing basis for business transactions (e.g. marriage certificates, copies of qualifications). The schedule notes that it is unnecessary to table such records in the Register of Records Destroyed. Public Record Office Standard PROS 97/003, ‘Destruction of Public Records’ – section 4.0 – permits the destruction of some records under the principle of normal administrative practice’. The authority to use NAP to destroy records is provided by the Standard. Further advice about the use of NAP is given in the Records Management Guide 3: Using Normal Administrative Practice to Destroy Public Records. Territory Records Act 2002, sections 22 and 23 – provide for normal administrative practice and broadly describe acceptable and unacceptable practices. of short term facilitative value (such as compliment slips). General Disposal Authority for Administrative Records, Part A “Ephemeral Records’. General Disposal Authority for Local Government Records, 1.11 – ‘Ephemeral Records’. The General Disposal Authority for Administrative Records provides a section on ‘Ephemeral Records’, which are defined as records that have no continuing value to the organisation and generally are only need for a few hours or a few days and do not need to be placed with the official recordkeeping system. Records covered include: duplicate copies of records, reference sets of manuals or directories, documents or circulars; rough drafts of reports and correspondence where a final draft has been produced; and working papers and background notes used to prepare or complete other documents. The General Disposal Authority for Local Government Records provides a section on ‘Ephemeral Records’ which sanctions the destruction of records of a trivial nature, once reference ceases. The authority applies to all records types irrespective of format. The authority does not apply to any records where there is a statutory requirement for retention or to records required for a legal case.